Dr. Karen Townsend Gordy entered eternal peace Thursday, Aug. 31, 2017, with love and support from her beloved family. She was born April 13, 1946, in Anderson, Ind. A Celebration of Life service will be held in the Chapel of Blanchard-St. Denis Funeral Home in Natchitoches Tuesday, Sept. 5 at 2 p.m. with Elder Ron Brown officiating. Visitation will be prior to the service beginning at noon. Interment will follow at Springville Cemetery, Coushatta. Serving as pallbearers will be Nettles Brown, Ron Brown, Rodney Henry, Michael Reynolds, Mike W. Reynolds and Grant Blakeney. Honorary pallbearers will be members of The Back Porch Band. 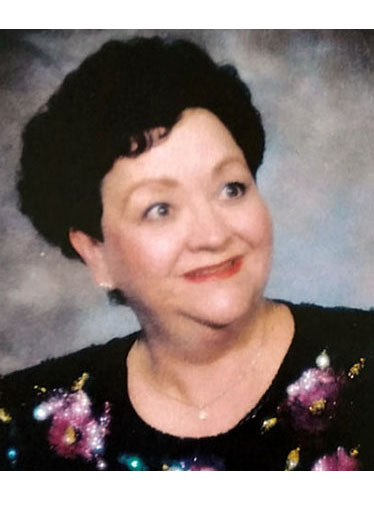 Karen is survived by her children, Christopher Alton Townsend of Shreveport and Michelle Townsend Reynolds and husband Michael of Alvin, Texas; her brother, Keith Clevenger and wife, Patricia, of Alexandria, Ind. ; sister, Janice Jackson and husband Bill of Hope, Ind; sisters- and brothers-in-law, Cathy Townsend L’Herisson and husband Charles of Garland, Texas, and Leta Townsend Brown and husband Ron of Natchitoches; four beautiful grandchildren, Chase Alton Townsend, Lila Grace Reynolds, Michael Maxwell Reynolds and Finley Allan Reynolds; and numerous nieces and nephews. She is preceded in death by her father and mother, the late Lester Earl Clevenger and the late Lillian Olema Clevenger of Anderson, Ind. ; her first husband of 30 years, the late Alton Lloyd Townsend Jr. of Natchitoches; and her second husband, the late Buster Gordy of Anacoco. Karen graduated from Butler University of Indianapolis, Ind., with a Bachelor of Arts in Music Education, a Masters Degree in Music Education from Northwestern State University in Natchitoches and her Doctorate of Arts Degree from Ball State University in Muncie, Ind. Music education was her life’s passion. For 30 years she was a dedicated teacher who taught music and orchestra in public education in Indiana, Illinois and Louisiana. Throughout the years she assisted with Youth Orchestra, Honor Orchestra and All-State Orchestra to support the talent of upcoming youth. She was a violinist in the Indianapolis Symphony Orchestra. She played with the Henry Mancini Concert Tours featuring Starlight Musicals in Indianapolis. Once she moved to Louisiana, she played as a violinist with the Rapides Symphony Orchestra and the Natchitoches Symphony Orchestra for many years and continued serving as Concert Master from 1991-97. She enjoyed playing throughout her life in multiple string quartets. After retirement, she was a violinist with the Back Porch Band who performed for numerous events and festivals and published multiple CDs which showcased a collection of traditional folk music. In 2004, Karen started the Vernon Parish Community Orchestra in Leesville as an ensemble for her private music students to perform. Other instruments were added later with the strings, including wind and percussion. She brought people together for various community concerts with orchestra members from Louisiana to southeast Texas. She continued to sustain the love of music for people of all ages through this organization now known as the Vernon Parish Chamber Orchestra. She was a member of Delta Kappa Gamma Epsilon Chapter in Natchitoches. She served as a member, community chairperson and president. She was a member of The Order of Eastern Star of La. Grand Chapter in Anacoco and also served as president. She was a member of the First Baptist Church of Coushatta and later the First Baptist Church of Natchitoches. Karen sang in the choirs and directed many children’s musicals. When she moved with her daughter she became a member of the First United Methodist Church of Orange, Texas. Throughout her life, Karen touched the lives of many. Those who were inspired by her felt her passion for music. She was deeply loved by family and friends and her generous spirit will be greatly missed. The memories she left with us will be treasured forever. In lieu of flowers donations may be made to the Vernon Parish Chamber Orchestra, Attn: Marcel El Koubi, Treasurer, 173 El Koubi Road, Leesville, LA 71446.